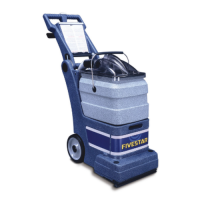 Use the same principal of cleaning as spray extraction machines, that is detergent is sprayed at pressure into the base of the carpet and then the dirty solution back is sucked back up again in a single action (extraction) but instead of using a wand or floor tool to clean the carpet the operator pushes or pulls the unit along whilst the carpet is agitated by a brush system. 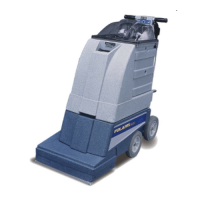 The benefits of these types of machines are less back strain on the operator and an ability to clean large areas of carpet much quicker and with less effort than a spray extraction machine. 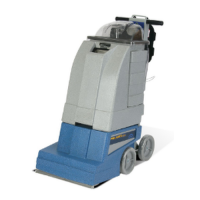 Popular for institutional cleaning such as leisure centres, conference centres, schools, hospitals and care homes. 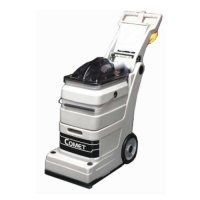 The Comet is a low cost, self-contained carpet extraction cleaner with..
A highly compact and portable high performance carpet and floor cleani.. The Karcher BRC 30/15 C Carpet Cleaner offers simple, convenient deep .. 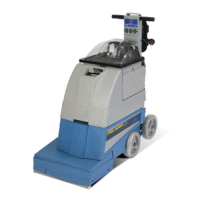 The Karcher BRS 43/500 C is an encapsulation cleaner for interim clean..
Prochem's state-of-the-art self-contained carpet soil extractor pr.. The Karcher BRC 40/22 is a multi-purpose carpet cleaner. It’s never be.. 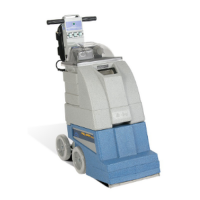 The BRC 45/45 C offers two functions in one machine. As well as giving..